In music, every decade showcases a new score of pop sensations that permeate the mainstream. In the 50s, there was Elvis. The Beatles in the 60s. David Bowie, Bruce Springsteen, and The Rolling Stones in the 70s. Take a hop and a skip forward to today, and we’ve got Lady Gaga, Beyonce, Kayne West, Maroon 5… But this article isn’t about pop music. It’s about indoor plants. Because what you might not know is that the prevalence of plants in interiors mirrors the ebb and flow of pop star popularity. While you were jamming out to “Jailhouse Rock,” it’s likely there was also an African violet sitting on your windowsill. If you grew up in the 90s suburbs listening to Nirvana and the Red Hot Chili Peppers, you probably also had your mom ask you to water the potted ficus before going out with your friends. So, what plant is the pop diva of modern interiors? The answer doesn’t require much sleuthing. You need only to spend a few moments surfing through interior design ideas on Pinterest before you’ll come across it: the Ficas lyrata. Or, as you may know it, the fiddle-leaf fig. Why so popular? 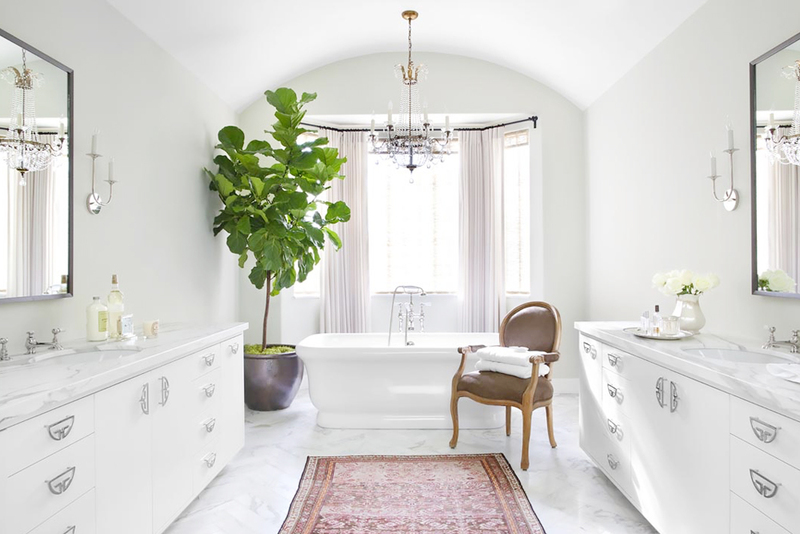 More than popular plants of past generations (think: spider plant, dracaena, parlor palm), the fiddle-leaf fig feels more prevalent than many other interior trends. Don’t believe us? Just open an Elle Decor or Architectural Digest, and you’ll be sure to spot one, typically potted in a white lacquer box and stationed within either a minimalist or global look. Céline, the French boutique known for its luxury leather goods, uses fiddle-leaf figs for their storefronts. And Casper, the mattress company, just bought a bunch when they designed their new office space. If you need more convincing, just check out the images featured in this article (all designed within the past few years). But that doesn’t answer why these plants are so popular. In an article for the New York Times, Steven Kurutz hypothesizes that with the rise of social media (which is especially important for interior designers…psst, follow us on Instagram) these plants were simply made more visible to the mainstream than plants of previous generations, making a digital appearance in almost every major design blog or Instagram account. Simply put, they photograph well. And if you think about it, you’ve probably seen many more fiddle-leaf figs online or in editorial spreads than you have in real homes. The reason behind this is also the reason why the fiddle-leaf figs popularity is so peculiar: they’re difficult to care for. 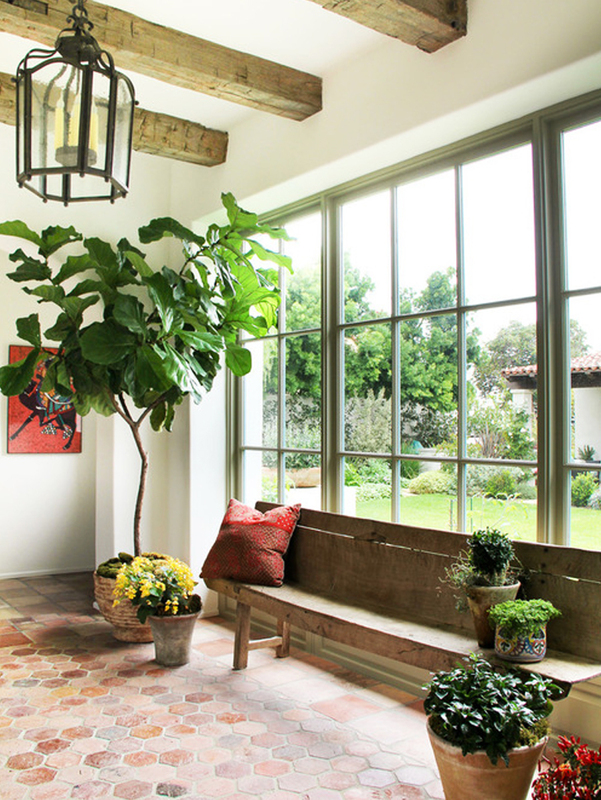 How do you care for a fiddle-leaf fig? With love. Or that seems to be the consensus. General tips include: 1. Water only when the entire top inch of soil is dry (browning or leaf drops are usually related to too much or too little water), 2. Keep it in bright and sunny (but indirect!) light, 3. Fertilize once a month during the growing seasons, 4. Routinely dust off the leaves, 5. Repot when the roots begin to poke out above the soil. When will the trend come to an end? For some designers, it already has. Some grocery store chains are even selling fiddle-leaf figs, and seeing them all over social media has slightly killed the buzz. It’s not to say that we dislike them. They work sometimes. But these plants are not subtle, and they tend to make designs, no matter how diverse in style, kind of look the same. It’s time for a refresh on the plant that’s been occupying homes for well over a decade now. The time has come. What will be the next new indoor plant for interiors? Read our prediction here. What indoor plants can I use instead of the fiddle-leaf fig? 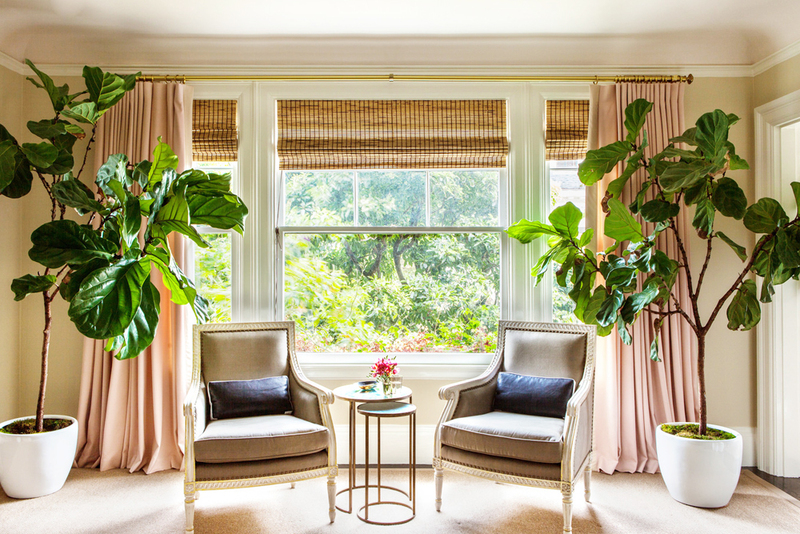 The problem with the fiddle-leaf fig is that it’s too ubiquitous and not particularly easy to care for, so here we’ve taken the time to give some suggestions for indoor plants that are easy to care for and less common in the design world (but still able to make a statement!). 2. The Yucca: A great option for southwestern or boho chic designs , offering a much slimmer structure and leaf. 3. The Plectranthus: Although this warm and inviting plant doesn’t have the magnitude of the fiddle-leaf fig, the leaves are light and bright, and the plant grows in sweeping arcs and rivers that allow it to photograph beautifully. 4. The Oxalis: Another way to impress with your indoor plants is to invite color into the conversation. This plant is a stunning purple that stands out in any room, and its beautiful triangular leaves provide a nice sculptural element. 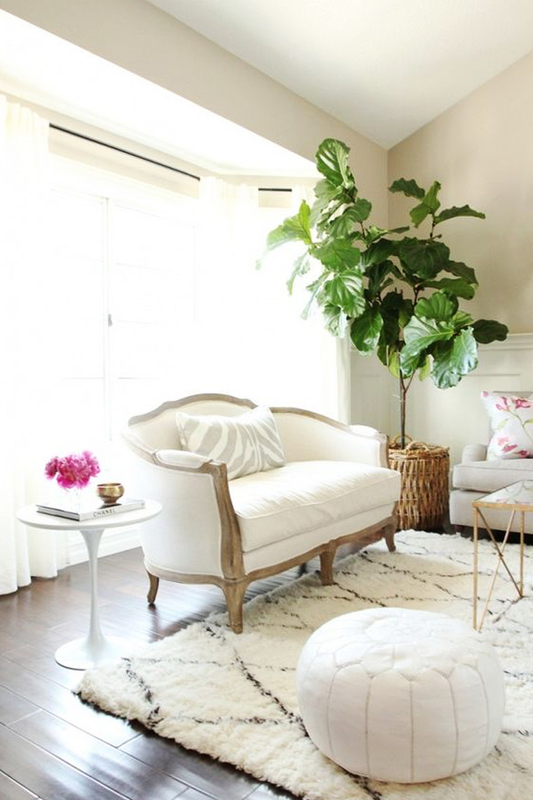 What do you think about the fiddle-leaf fig? Love them? Tired of them? Let us know in the comment section below. I’ve killed two of these finicky fiddle leaf pains in my rear, trees. They are structurally beautiful and do photograph well, but when your clients can’t keep them alive…out you go. Right?? Much to the chagrin of this article, Kathy actually has one in her living room! They can be so beautiful, but we do think there are many other plant options that will become even more popular! Loved this article! 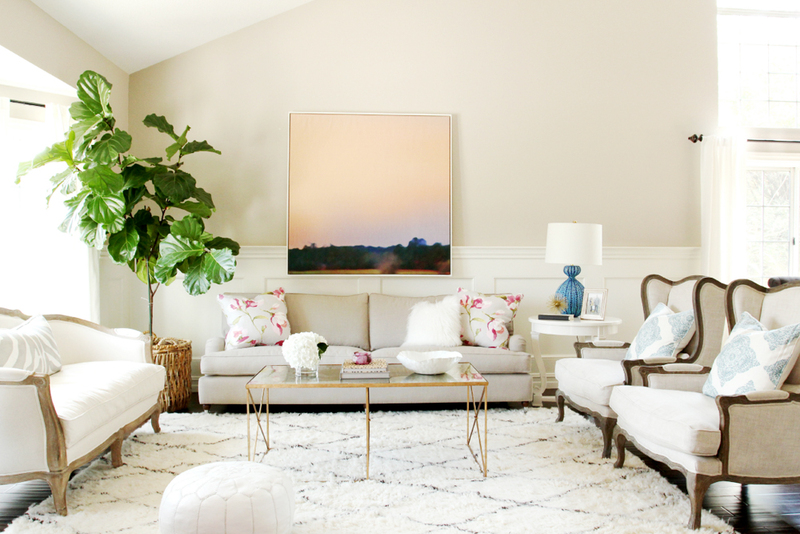 I have a client referring to pictures just like these for her living room, and I love that you picked up on this plant as a trend and took it even further to predict the next one. I think it’s important to add a little nature to your interior for our well being. It’s great that we can be on top of the trend in doing so.